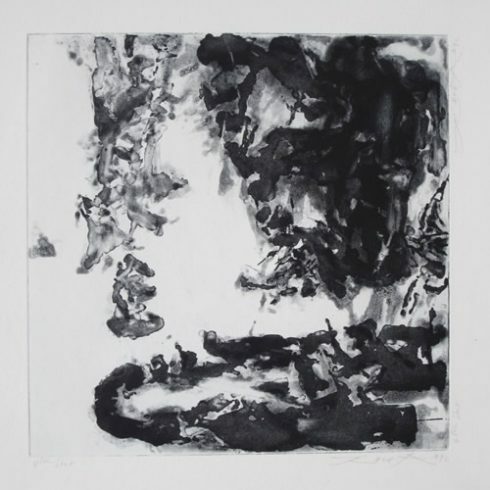 Zao Wou-ki, a Chinese émigré who merged Eastern and Western aesthetic traditions in his abstract paintings — helping to shape avant-garde art in postwar Europe and attracting a newly wealthy Asian following that made him one of the most commercially successful living artists in either hemisphere. 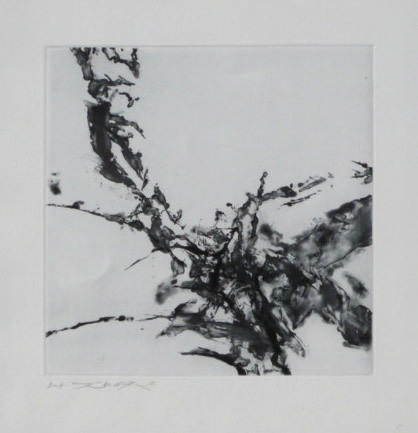 Our fine art gallery has the finest quality Zao Wou-Ki original prints, etching and aquatints. We have a large inventory available off-site and we encourage you to make an appointment to see specific works you are looking to collect. We are happy to meet you at either our art gallery showroom or at your home or office for a private presentation. Chinese-French Artist Zao Wou-ki was born in Beijing, China in 1921. 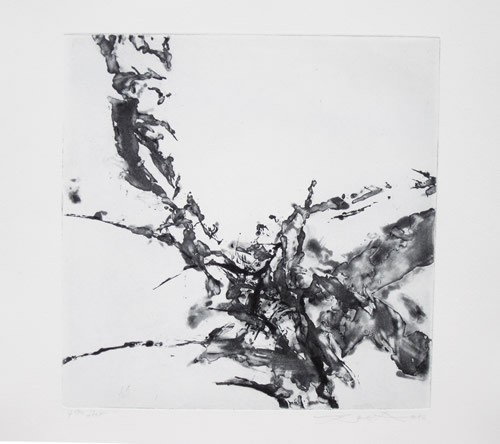 Zao’s given name, “Wou – ki” (or “Wuji” in the standard Hanyu Pinyin romanization used in China), translates to “no boundaries.” This perfectly encapsulates Zao Wou-ki as an artist, who was uniquely able to combine the cultures and aesthetic visions of France and China in his Fine art paintings, prints, etchings, and lithography. Zao Wou-Ki went to school in Nantung, a small town north of Shanghai, where his father worked as a banker. 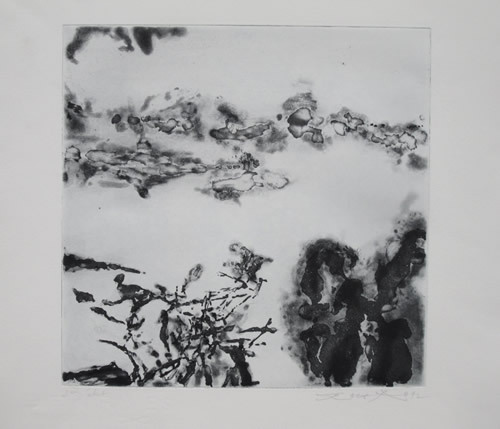 Zao Wou-ki was considered a gifted pupil and he took great interest in literature and in Chinese and world history. 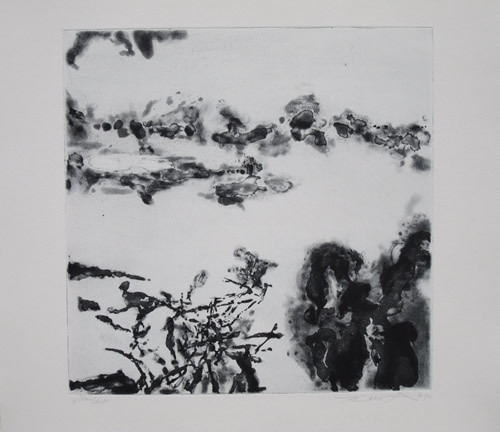 Zao Wou-ki’s family was one of intellectuals who appreciated painting and fine art, and Wou-Ki would learn the traditional Chinese art of calligraphy from his grandfather. 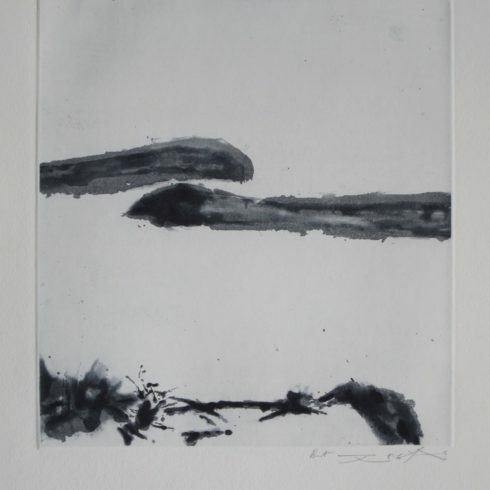 From the age of ten Zao Wou-ki created drawings and paintings constantly. 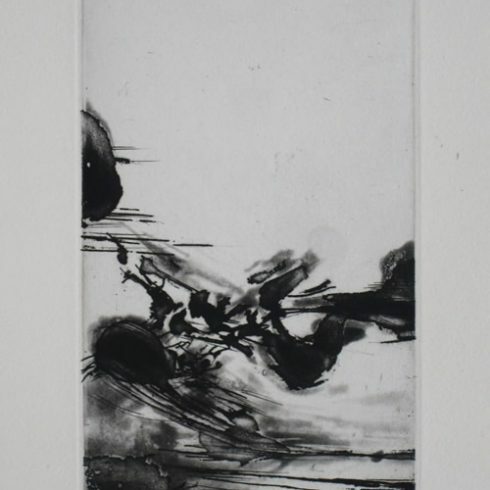 In 1935, at the age of fourteen, Zao Wou-Ki was admitted to the School of Fine Arts at Hangzhou, China. 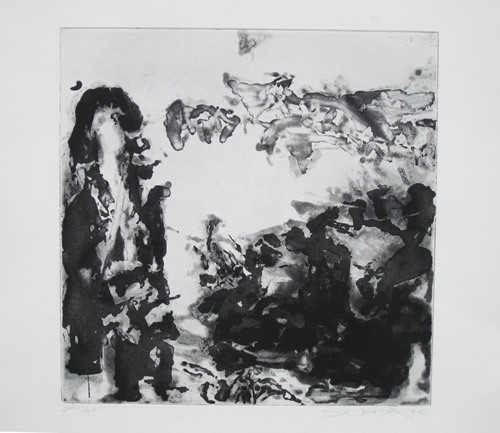 There Zao Wou-ki studied life drawing, oil painting, and also received instruction in the theories of calligraphy and western perspective. Despite the traditional teachings in accuracy and realism, Zao Wuji sought to capture the broad outlines and essence in his artwork compositions. Zao Wou-Ki was appointed lecturer at the School of Fine Arts and in 1941 held his first art exhibition. According to Wou-Ki “To tell the truth, the [Paintings] I showed were strongly influenced by Matisse and Picasso that Zao Wou-Ki would find the vision he considered closest to nature. His main exposure to European modern art came from postcards that his uncle brought him from Paris, and from American magazines featuring images of the works of artists like Renoir, Matisse, and Cezanne.